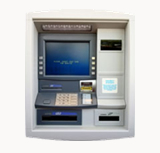 At ATM NET Systems and Solutions we work with industry established and recognized teller brands. We have distribution of parts, modules (new, used and refurbished), as well as parts and original and generic consumables in accordance with the requirements of our customers. We have the experience necessary to rebuild complete modules and electronic devices that integrate them. We have a large stock of inventory parts for automated tellers that includes Diebold, NCR, Wincor and Fujitsu mainly. At the same time we have a stock of supplies, such as Diebold, NCR, Wincor and Fujitsu, necessary for proper operation. Our quality control processes allow us to offer a reliable product with extended guarantee and return policy of 100%.